Ise, Nobutoyo. Yahon hiden ????. "Secret Book of the Arrow." 1556. Copied in 1846 by Terai, Hajime. 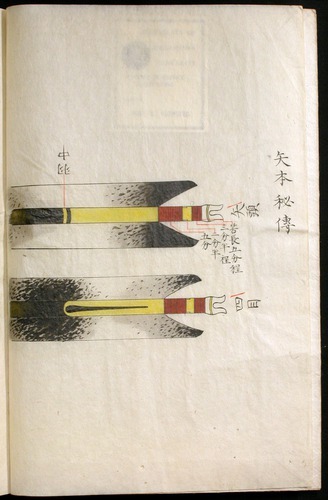 Illustration copied by Odani.